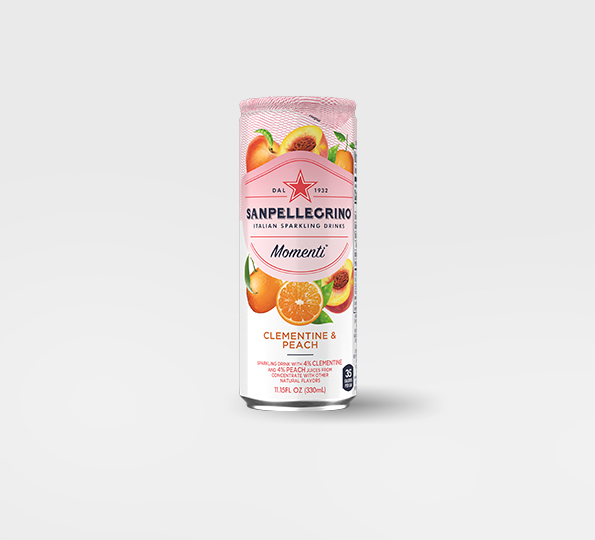 Create fun moments wherever you are with Momenti™ Clementine & Peach flavor, a unique low-cal sparkling drink with vibrant flavors of real fruit juice from Sanpellegrino®! 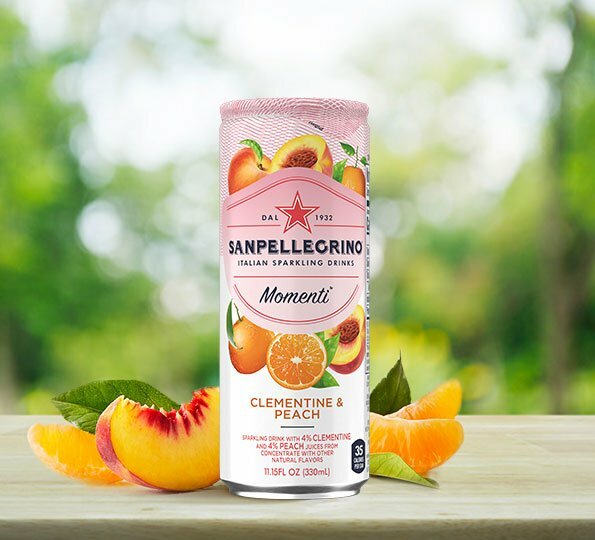 A tasty mix carefully chosen by the experts at Sanpellegrino®, Momenti™ Clementine & Peach flavor combines the citrusy sweetness of clementine juice with fragrant peach juice (all juices from concentrate) to give a light fruity flavor to fine carbonated water. 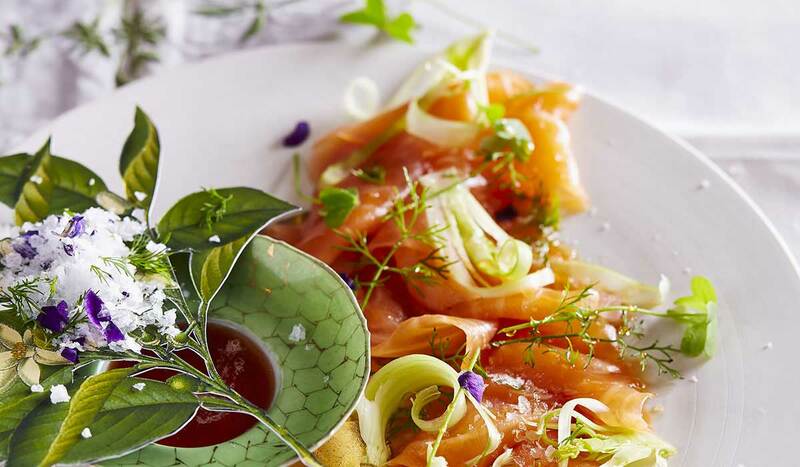 Bring the Italian taste to any break, throughout the day, whether alone or with those you care for. 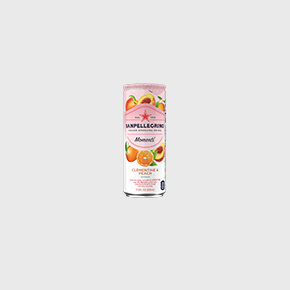 Each 330ml/11.15fl oz serving contains just 35 calories and no artificial sweeteners. 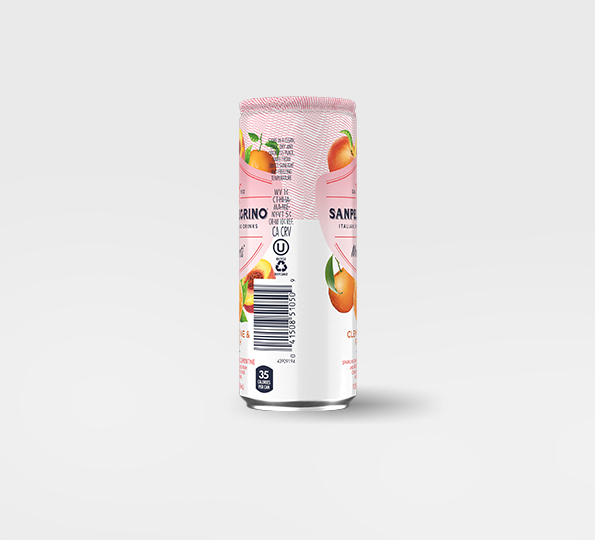 Sparkling drink with 4% clementine and 4% peach juices from concentrate with other natural flavors. 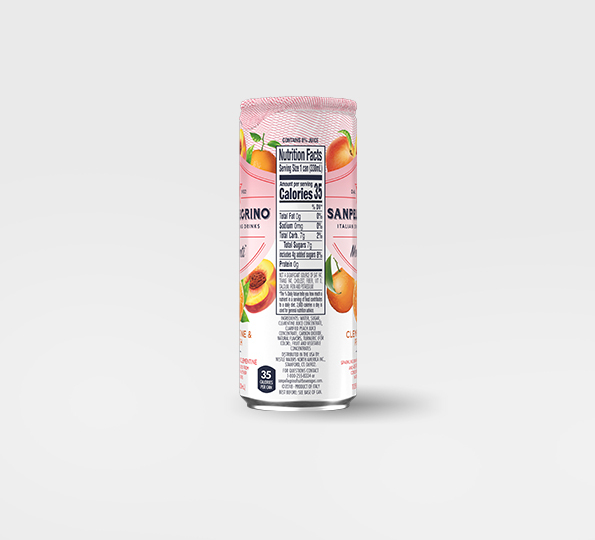 Water, sugar, clementine juice concentrate, clarified peach juice concentrate, carbon dioxide, natural flavors, turmeric (for color), fruit and vegetable concentrates (for color), citric acid. Not a significant source of sat fat, trans fat, cholest, fiber, vit D, calcium, iron and potassium. 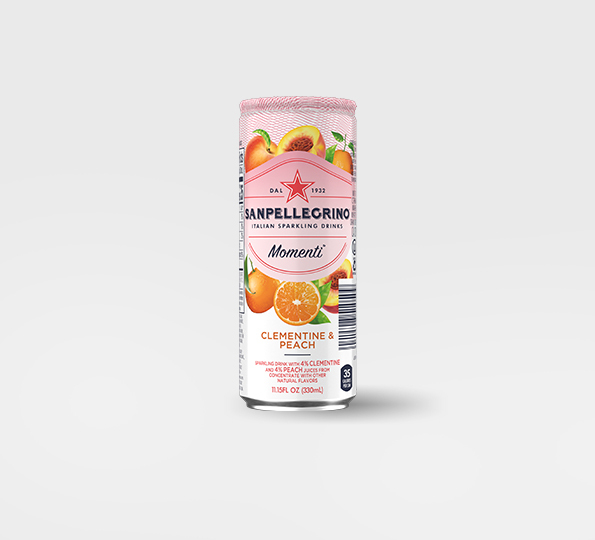 Sanpellegrino® Momenti™ Clementine & Peach Sparkling Drink with 4% clementine and 4% peach juices from concentrate with other natural flavors is available in 11.15fl oz/330ml cans.